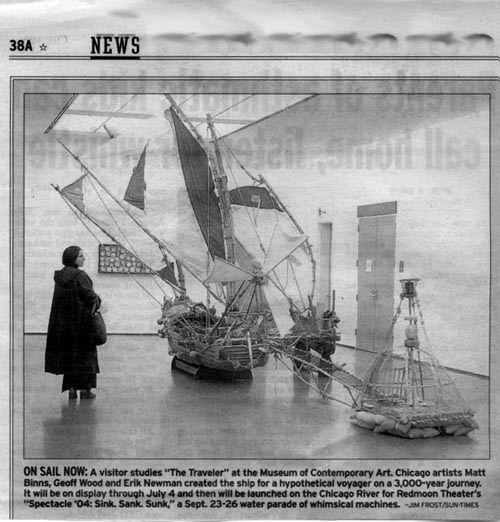 A few years ago Chicago inventor and artist Matt Binns created a piece for Chicago's Museum of Contemporary Art. 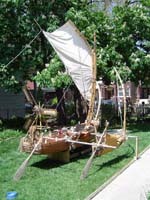 It appeared to be an outrigger sailing craft built for use on the open ocean. And strangely, some of the gear looked as if it might not have been designed for the same kind of hands that you'd find attached to a human being. 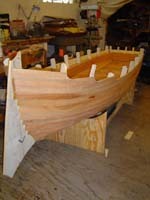 The museum display explained that the boat had been found when it washed ashore without an occupant. 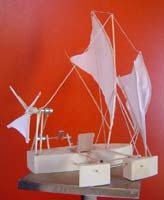 But it did contain a lot of curious odds and ends. The stuff not only came from different places around the planet, it came from different centuries as well. 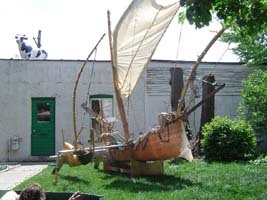 The collection suggested that the boat's owner had been everywhere, and that he -- or it -- had lived for a very, very long time. 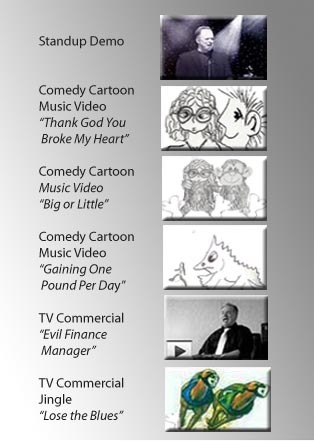 Alongside the exhibit was a video display featuring -- you guessed it -- Paul Frisbie masquerading as the tweedy, eccentric college professor who was trying to make sense of all the data. Many people swallowed this thing hook, line and sinker. 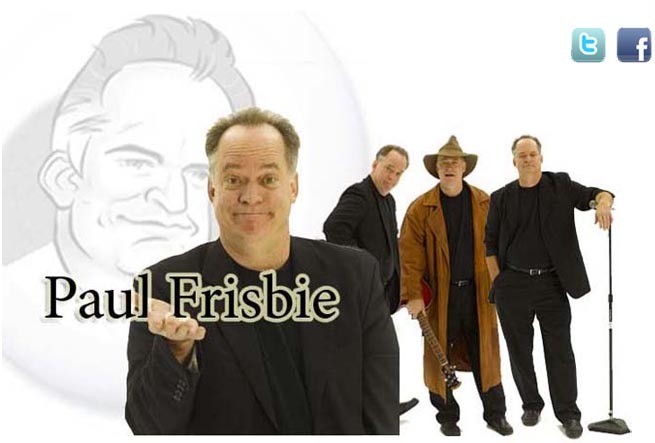 But Paul Frisbie is no tweedy college professor, and there never was any ageless alien sailing the seven seas in that unique vessel. 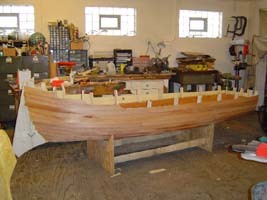 In fact, here are some photos of the boat under construction at Matt Binns' studio.